Exposure to loud noises causes irreversible damage to the delicate hairs that line the cochlea, resulting in permanent hearing loss. 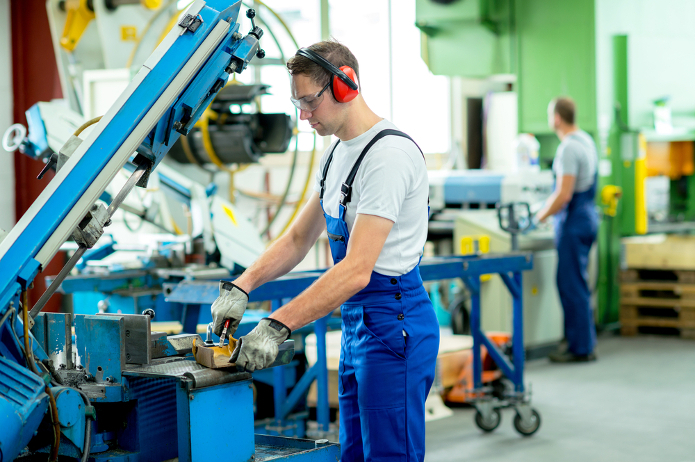 Many cases of noise induced hearing loss related to occupation or recreational activities could be avoided if the correct noise protection is worn. At Castle Hearing, we can supply and fit a variety of noise protection to suit various levels of noise, helping to protect your hearing from permanent damage. Read below to learn about the different kinds of noise protection that we offer. Electronic noise protection ear muffs are a reactive form of hearing protection. They use the same passive noise protection as regular earmuffs but feature an external microphone, amplifier and internal speakers on each side. The amplifier projects low volume sounds (such as voices) through the speakers, making them easier to hear, whilst the microphone detects dangerously loud noises in the environment and responds by deactivating speakers in the muffs until the noise reaches a safe level again. This form of noise protection is ideal for situations where loud noises are intermittent and situational awareness is still required, such as sport shooting. Custom moulded earplugs are made to work perfectly with your ears and have filters that can be tuned, so the amount and type of noise reduction delivered is no more or less than needed. They reduce all sounds equally, making them popular with airport staff and construction workers that need to protect their hearing from loud noises and communicate at the same time. We have the facilities to make a mould of your ears to ensure your noise protection is a perfect fit. If you suffer from recurrent ear infections or experience the sensation of water in your ears after a visit to the pool, we recommend wearing ear plugs when you go swimming. Otitus externa (swimmer’s ear) is a common infection of the outer ear canal that causes inflammation and discharge. It can be caused a build up of bacteria due to moist conditions caused by exposure to water. Swim ear plugs are designed to stop water entering the ear, helping to prevent infection. We offer a wide range of swim plugs, including generic fit rubber and custom moulded silicone. If you are a light sleeper, live next to a busy road, or your partner snores, you may benefit from a pair of sleep ear plugs. At Castle Hearing, we offer a variety of sleep plugs that are designed to be comfortable enough to sleep in whilst effectively blocking our noise, ensuring a good night’s sleep without interruption.